Speaker. Author. Visionary. Mario Costanz amongst many other things excels in these categories. 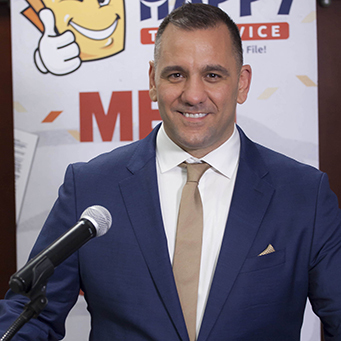 As a longtime avid blockchain and cryptocurrency enthusiast, Mario saw a need for quality tax preparation in the crypto trading community and launched CryptoTaxPrep.com as a division of Happy Tax. CryptoTaxPrep.com has positioned itself as the industry leader in cryptocurrency tax preparation.